Tomi Galin oversees the corporate communications, marketing and government affairs departments. She is responsible for managing media relations and serves as the company’s spokeswoman. 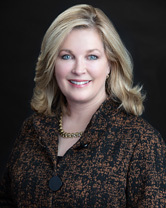 Prior to joining CHS in 2008, Galin served as Vice President of Corporate Communications and Marketing for IASIS Healthcare, and before that led healthcare accounts for a Nashville public relations firm where she worked with publicly traded healthcare companies, including HCA, Triad Hospitals and Renal Care Group. Galin began her career as an award winning broadcast journalist in markets including Las Vegas, Phoenix, San Francisco and Miami. She serves on the Board of Governors for the Federation of American Hospitals and is past chair of the public relations committee.